You’ve done the research, taken the test drives, and are ready to drive home in a new MINI Cooper. Now’s the time to find a reliable dealership to help with your financial requests. This is where our dealership in Annapolis comes in. At our MINI Finance Center, we have years of experience helping drivers like you get into the MINI Cooper that’s perfect for you. Read more about how we serve drivers around Annapolis, Highland Beach, and Hillsmere Shores, then contact us when you’re ready to get started on the car buying process. Whether you plan on leasing or buying, our highly experienced financiers will happily guide you through either process. We’ll work with you one-on-one to determine what your driving needs are, as well as the budget you had in mind. From there, we’ll create a payment plan that fits within your needs and that you can feel confident about. If you decide to buy and are seeking a loan, we work with local banks and lenders to secure terms that are right for you, no matter your credit history. Apply for financing: To get pre-approved, simply fill out our short and secure form with some basic information. We’ll then reach out to you as soon as possible once we get your information. Value your trade: If you’re looking to trade in your current vehicle for a new MINI, check out our handy trade-in tool. Select your model, year, and other info to find out about how much your vehicle would be worth when it comes time to exchange it. Payment calculator: When thinking of the monthly budget that’ll work for you, it helps to look at our online auto loan calculator. By typing in how much you’ll be putting down on a vehicle, as well as the length of a loan term, you can determine how much you’ll be paying per month. This will help you decide which model and trim will work best for your budgetary needs. Visit Our Finance Department in Annapolis Today! 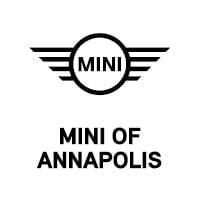 Our team of financiers are ready to help you land the perfect MINI Cooper to take to your home in Annapolis, Highland Beach, or Hillsmere Shores. Contact us today to get started. We look forward to working with you!